Connie is an accomplished actress, singer, impressionist, comedienne, entertainer, musician, lyricist, poet and writer. Starting in 2004, ​​​he became the Fun & Frolicking Character Of “Miss Lillian” at Dollywood, Pigeon Forge, TN. She was Affectionately called “The Chicken Lady” by the Young & Young At Heart who frequented “Miss Lillian’s Chicken House” at that time. As a Hostess Of Comedic Improv and Entertainer to thousands of "chickenettes" each week, she plays her banjo-ukelele and writes songs "on the fly" about Dollywood guests. 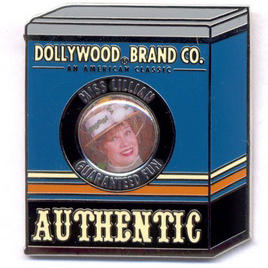 Today, she remains a strong Online Presence with her Facebook Fan Page: “Miss Lillian” (The Chicken Lady) at Dollywood & her YouTube Channel (www.YouTube.com/MissLillianDollywood). She also gives out "magic pennies" which can be used to make wishes in her magic wishing well just outside the front door of “Miss Lillian’s.” Come to Dollywood to see her! She's in the Valley Section, just past the railroad overpass. Wait for a train returning to the station and you'll most likely see her rushing by “Miss Lillian's,” trying to ‘catch’ it. Or You can catch her performing her Musical Improv Antics Before Many a Show At The Valley Theater & More. 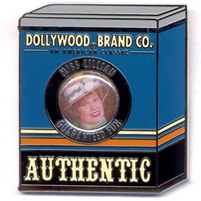 On March 25, 2005, Dollywood issued the “Miss Lillian” pin you see above right. You can see more about Connie as "Miss Lillian" at ChickenLady.biz. Connie began her career at the age of one in Jackson, Tennessee on her mother's "Cousin Tuny Television Show" in the days of live TV. She attained a BFA in Theatre Performance at Memphis State University and received an apprenticeship at the renowned Actors Theatre of Louisville Regional Theatre Company. Since then she has played parts ranging from Judy Garland, Marilyn Monroe, Mae West, Dolly Parton, Shirley Temple and Carol Channing to Betty Boop - along with various other voices she portrays in her other one-woman show 'CONNIE & COMPANY'. From the female lead in the Ray Stevens movie, 'Get Serious', to playing a 'Judy' look-alike in the film "Finding Graceland" with Harvey Keitel and Bridget Fonda, to numerous TV and radio commercials, as in TNN's 'Dot Com' Character (promoting their web-site), her growing career has taken her to headlining in Tokyo, Japan and Cruise Ships, to Walt Disney World and Opryland Productions, including "The Game Show" with Bob Eubanks. She also grew up performing for Special Children on the West Tennessee Cerebral Palsy Telethon with her mom and the late great Carl Perkins - all of which helped developed her versatility, and most important, her heartfelt love and joy for her work. In her homeland, she became known as 'Tootsie Rose' from Sweet Lips, TN (a whimsical character she performed for young & old - with humor & inspiration). It is Connie's Mission in this life to be an Instrument of Joy and Love in our world, Inspiring 'The Child Within" us all! 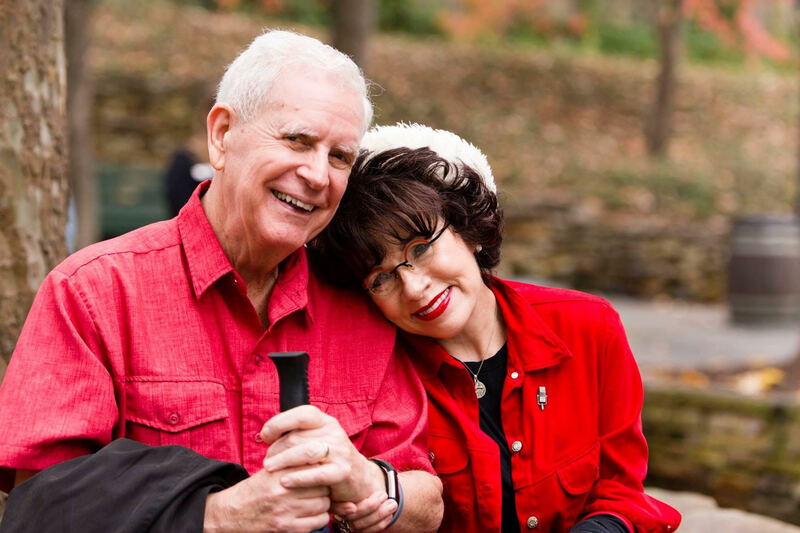 Connie lives happily in the Great Smoky Mountains with her Beloved Husband & Writing Partner, Bobby Prince (Lifetime Achievement Award Winner in the Video Game Industry). Together they composed the Inspiring Children’s Book With Songs “Elvin The Tiniest Elf.” Here's a link to one of his music videos -- Miss Lillian Sings The Story. More Songs, Poems & Creative Adventures are always in Progress! !